A clean face is a happy face! The face wash is an essential part of everyone’s hygiene. It is an indispensable product that is crucial for us all to own. Here are some affordable drugstore face washes with various benefits that will make a difference to your face. Cosmoderm is a Malaysian made product that is formulated without SLS - Sodium Lauryl Sulfate. With tea tree oil as its main ingredient, this facial cleanser is suitable for oily and acne-prone skin. Give it a try and you’ll notice a difference after a few washes. You don’t have to worry much about acne with the help of Oxy Acne Face Wash. This face wash is suitable for those who have sensitive skin and acne-prone skin. It is affordable and gets the job done by removing excess oil while being gentle on the skin's surface. Tea tree oil is said to have the natural ability to protect the skin from pimples. The face wash deep cleanses clogged pores, leaving the skin feeling clean and oil-free. It also refines pores and controls shine caused by excess oil. 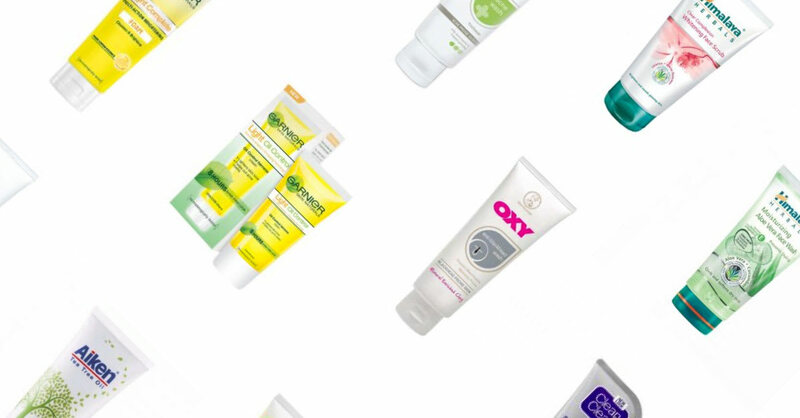 Oxy is a well-known brand that helps in getting rid of acne and preventing more unwanted breakouts. The benzoyl peroxide in this product deep cleanses the skin and removes sebum, dirt and any impurities to keep the skin looking fresh, healthy and clean always. This soap-free face wash is ideal for those with skin lacking in moisture. Himalaya’s Moisturizing aloe vera Face Wash replenishes the skin instantly, leaving your skin feeling hydrated and soft. It uses cucumber as a natural toner that helps tighten pores while rejuvenating the skin. Not forgetting the aloe vera as one of its main ingredients that helps hydrate the skin and exhibits antibacterial and antifungal action. Senka’s Perfect White Clay is used for brightening and is ideal for combination skin. It is made with white clay that is rich in natural minerals to remove dirt and impurities as well as dead skin cells. For its price, the cleanser is a bargain for those who wants to get a 2-in-1 cleanser and scrub. Get your face intensively cleansed with the help of some lemon essence from Garnier’s Skin Naturals Light Complete Foam face wash. This face wash is excellent for all types of skin including combination skin. It also helps to clarify and brighten skin instantly. Do you crave for an oil-free and clean face? Do give the Garnier’s Light Oil Control face wash a try! It helps to eliminate excess oil from the face, leaving your face feeling replenished and clean. With a combination of Wild Pansy Extract and Bentonite Clay, you can be sure that the Hada Labo Face Wash prevents and fights acne. It has a double action exfoliating formula that removes dead skin cells and dull rough skin. Cleansing deep into pores, it also removes blackhead and clogged pores. Stubborn and visible blackheads on your face? Worry not! Try Oxy Blackhead Clearing Wash! This face wash helps to remove any existing blackheads while preventing future blackheads from forming at the same time. It deep cleanses the skin and helps prevent blemishes. Most of the time, pimples are caused by bacterial growth and excess oil on the skin. With Clean & Clear’s Acne Clearing Cleanser, it helps prevent bacterial growth from taking place as it consists of the pimple-fighting benzoyl peroxide. The wash will help to unclog pores and does its best to avoid acne from returning as much.